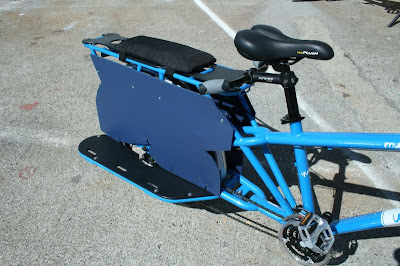 I came across this at the Yuba Mundo blog. They are offering free and very simple plans to make your own skirt guard (pdf download). 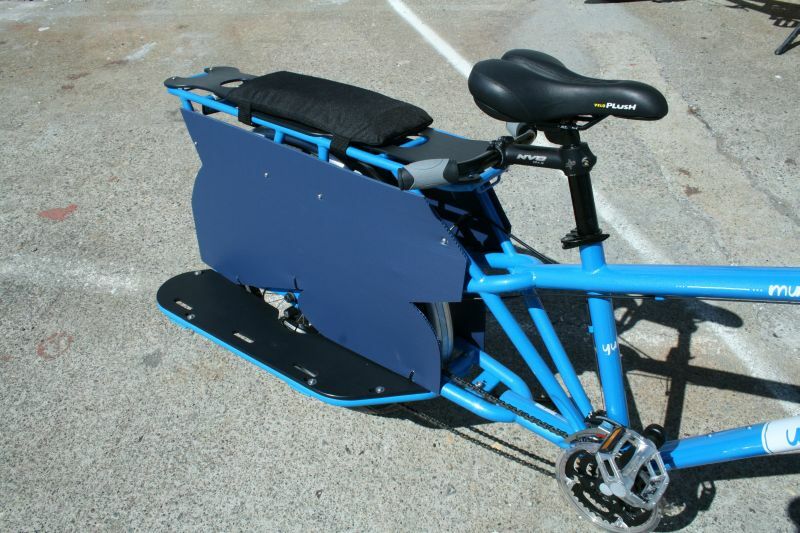 They're promoting it as a tool to make it safer to carry people on the back of the bike, which it surely would, but I think it will probably be an excellent tool to aid in carrying cargo on the side boards, to keep items from hitting the tire or spokes. If I make these I'll post the process. Well done Mundo...thanks! Click here to go to the updates page with the instructions and download. Thanks for the link Joe. If I get around to making a set, I'll send you photos.